After long deliberation on whether or not you should go to college in pursuit of a career in criminology, you've decided the university life is the right path for you. The bad news is that was the easy part. While choosing to go to school can be a tough decision, determining where to go to school can get even more complicated, so you'll want to know where the best criminology schools are. To help you get started on your college search, U.S. News and World Report has surveyed criminal justice and criminology programs across the United States to come up with a list of the top criminology graduate programs in the nation. The publication based their rankings on peer reviews, which were sent to faculty at 36 universities. The University of Missouri at St. Louis. Pennsylvania State University at University Park and The University of California, Irvine were tied for 5th. The full list of rankings is available from the U.S. News University Directory. While the rankings are for graduate study programs, they can be quite helpful in determining where to go for your undergraduate degree. Undergraduate courses are often taught by graduate assistants and doctoral candidates, who are studying under the top minds in the academic realm of criminology. Of course, there are some other factors involved in determining where to go to earn your criminology or criminal justice degree. Proximity, cost of tuition and, the availability of scholarships and financial aid should also factor heavily into your choice. 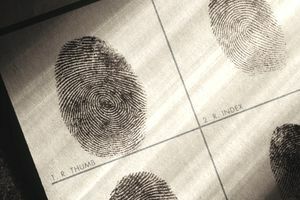 In choosing a criminology degree program, you will also want to determine your career path. Yes, there's much to be gained by attending one of the schools considered to be among the best of the best, but the truth is that attending the best college is less important in some circles than it is in others. If you are planning to go an academic route and are more interested in the study of crime and behavior, or if you have designs on working in a field such as forensic psychology, it is a good idea to beef up your college credentials. A strong academic pedigree helps provide credibility and is a great first step in getting your foot in the door if you are inclined toward working as a researcher or professor. If you intent is to work in the field as a law enforcement officer or detective, the source of the degree will be far less important. Considering that many fields, including police officers and corrections officers, do not always require a college education, you will be ahead of the game by merely obtaining an undergraduate degree. Another important consideration in determining what college to attend for a criminology degree is the availability of internships and opportunities to gain real-world experience while earning your diploma. The size of the city in which the school is located may be a factor in helping you make this determination; the larger the population, the more likely it will be to find chances to work or volunteer for a local or state law enforcement agency or land an internship at a busy courthouse. Earning your college degree can be the difference maker in helping you get the job you want. A college education can also help prepare you for career advancement in the future. Finding the right school to fit your needs and goals is an essential step in finding a fun and rewarding career in criminology or criminal justice, and can help ensure you enjoy success in all aspects of your chosen field.